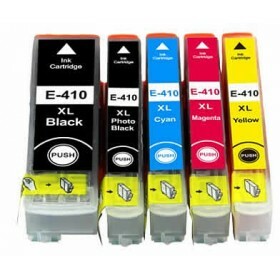 Saved over $100 on this set of Epson 410XL cartridges compared to Officeworks price. They work perfectly well and they were delivered the next day to Sydney. One very happy customer. Purchased 2 sets of 410XL inks, got free delivery and still well under the cost of one set of the Epson genuine cartridges. Easy website to use and great service. I'll definitely be coming back next time I need ink. Just to congratulate you on the excellent service,ordered 3-15pm yesterday and here, interstate at 9am today, just great.